Adele's third record 25 is the gift that keeps on giving. Following five wins and two performances at the 59th Annual Grammy Awards, the record breaking album has blasted up the Billboard Top 200 Albums chart back into the top 10 on the tally, as reflected on the Feb. 22 refresh. At the end of 2015 and the first few weeks of 2016, the album was nearly unstoppable and in the spring, it returned to the top 10 once it was released to streaming services. 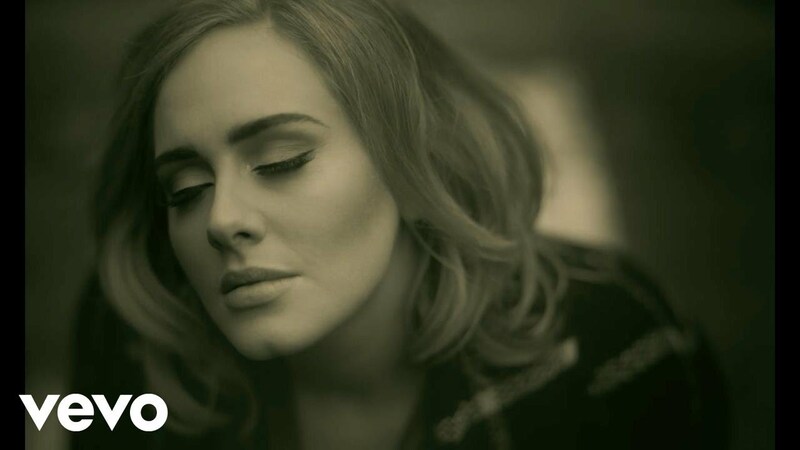 Following the wins, as with any award show bump, Adele's 25 flies up the Top 200 from No. 21 to No. 6 re-entering the top 10. The set moved 47,000 total units which includes sales, streaming units and individual track downloads. Of that sum, 30,000 were in actual sales, up 238 percent for the tracking week ending Feb. 16. The overall consumption saw a rise by 137 percent through all consumption units. For every 1,500 streams from an album, that equates to one unit while every 10 downloads also equates to one unit. On the night of the Grammy Awards, Adele opened the show singing her blockbuster lead single "Hello." Prior to the live airing of the ceremony, "Hello" had already won the award for Best Pop Solo Performance during the pre-telecast streamed online. Later in the night, she performed "Fast Love," a tribute to the late George Michael, in which she stumbled and humbly restarted the performance apologizing for swearing after the mistake. "I can't mess this up for him," she said with another f-bomb mouthed as she began again. It should be noted that recently it was revealed that George Michael's family banned anyone from performing a Grammy tribute unless it was Adele who sang in his honor. 25 of course debuted atop the albums chart with 3.38 million albums sold, a record she is likely to hold for decades to come if not for the rest of time. The set spent 10 non-consecutive weeks at No. 1 between 2015 and 2016 and was easily certified Diamond by the RIAA for shipments in excess of 10 million copies plus digital downloads. It is the only album to have sold more than one million in three different tracking weeks and she is the only artist to have two albums reach Diamond status in the 2010s. During the live airing of the Grammy Awards, Adele added four more awards to her trophy case. Along with Best Pop Solo Performance, she took home three of the big four awards that night including Record of the Year (artist/producer award), Song of the Year (songwriter award) and the most coveted prize Album of the Year.